***Notes From Underground by Fyodor Dostoevsky. Price: Free. Genre: Psychological Thriller of the Day, Classics, Historical, Psychological. Rated: 4.4 stars on 111 Reviews. 123 pages. ASIN: B019L24H88. *Poor Folk by Fyodor Dostoevsky. Price: Free. Genre: Psychological Thrillers, Historical Classic, Psychological Suspense. Rated: 4 stars on 5 Reviews. 159 pages. ASIN: B019L24GXE. Historical. Free Kindle Historical Fiction Emails – Only Historical Fiction. *Magna Carta: King John and the Barons’ War by h a culley. Price: Free. Genre: Historical Fiction, Action & Adventure, Historical. Rated: 4.2 stars on 16 Reviews. 219 pages. ASIN: B00KG6F6OS. *Sir Nigel by Arthur Conan Doyle. Price: Free. Genre: Hard-Boiled Mystery, Classic Mystery of the Day. Rated: 4.3 stars on 55 Reviews. 331 pages. ASIN: B019IG3ACG. 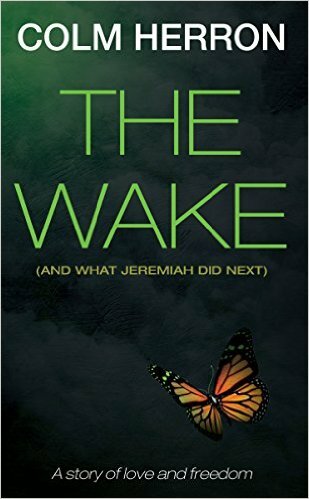 **The Wake: And What Jeremiah Did Next (Deal, Not Free) by Colm Herron. Price: $0.99. Genre: Historical Fiction Deal, Sponsor, 1968, Irish, Cultural Heritage. Rated: 4.9 stars on 56 Reviews. 224 pages. ASIN: B017CCHRNG. Reviewers love it: A delightfully amusing and entertaining read! Brilliantly written in the author’s own inimitable style! Colm Herron is a master of the building joke – one that gradually adds layers until the final, explosive punchline! This book is splattered with laugh-out-loud gems that stay with you! Any novel which can move you from tears of sympathy to those of humor in a paragraph has to be worth a read! *Fortune Out West: The Series by K.L. Hemley. Price: Free. Genre: Historical Romance, Westerns, Historical Fiction, Frontier & Pioneer, Gold Rush. Rated: 4.5 stars on 13 Reviews. 312 pages. ASIN: B00GU3PPQK. *Legend of the Sundancer by Karah Quinney. Price: Free. Genre: Historical Romance, Ancient World, Westerns. Rated: 4.5 stars on 30 Reviews. 304 pages. ASIN: B00C6R75GW. **The Wake: And What Jeremiah Did Next (Deal, Not Free) by Colm Herron. Price: $0.99. Genre: Historical Fiction Deal of the Day, Sponsor, Irish, Dark Humor, Cultural Heritage. Rated: 4.9 stars on 56 Reviews. 224 pages. ASIN: B017CCHRNG. Reviewers love it: A delightfully amusing and entertaining read! Brilliantly written in the author’s own inimitable style! Colm Herron is a master of the building joke – one that gradually adds layers until the final, explosive punchline! This book is splattered with laugh-out-loud gems that stay with you! Any novel which can move you from tears of sympathy to those of humor in a paragraph has to be worth a read! ***The Princess and the Goblin by George MacDonald. Price: Free. Genre: Fantasy, Historical Fiction. Rated: 4.5 stars on 116 Reviews. 160 pages. ASIN: B019HXHP62. *Lilith by George MacDonald. Price: Free. Genre: Fantasy, Historical. Rated: 4.3 stars on 157 Reviews. 276 pages. ASIN: B019INMNXG. The Story of Sir Launcelot and His Companions by Howard Pyle. Price: Free. Genre: Historical Fiction, Fairy Tales, Mythology & Folk Tales, Action & Adventure, Historical. Rated: 4 stars on 5 Reviews. 333 pages. ASIN: B019I3V238. *Dangerous Dreams: A Novel by Mike Rhynard. Price: Free. Genre: Historical Romance, Historical Fiction, United States. Rated: 4.9 stars on 22 Reviews. 800 pages. ASIN: B016VD3YS4. *The Visitor – The Bell Tower 1873 – 1875 (The Life of Mirisa Eppes) by Barbara Svetlick. Price: Free. Genre: Historical Romance, Literature & Fiction, Historical. Rated: 5 stars on 5 Reviews. 220 pages. ASIN: B00GVLVRN6. *Emma (Illustrated) by Jane Austen. Price: Free. Genre: Regency Historical Romance, Victorian Romance, Romantic Comedy. Rated: 4.8 stars on 4 Reviews. 318 pages. ASIN: B00NUKARDW. *Seductive Secrets (Secret Lives Book 1) (Repeat) by Colleen Connally. Price: Free. Genre: Romantic Suspense, Historical Romance, Suspense. Rated: 4 stars on 829 Reviews. 316 pages. ASIN: B008K881HS. *Framley Parsonage by Anthony Trollope. Price: Free. Genre: Historical Romance, Classics, Historical. Rated: 4.5 stars on 40 Reviews. 548 pages. ASIN: B019IK9GF2. **The Messenger: Mortal Beloved Time Travel Romance, #1 by Pamela DuMond, Regina Wamba. Price: Free. Genre: Time Travel Romance, Love & Romance, USA Today Bestselling Author, Sword & Sorcery, Paranormal & Fantasy, Multicultural, Historical, Multicultural Romance. Rated: 4.4 stars on 57 Reviews. 257 pages. ASIN: B007T07YU8. USA Today Bestselling Author Pamela DuMond. *An Unlikely Beginning (Velvet Shoe Collection Book 2) by Patty Wiseman. Price: Free. Genre: Romantic Suspense, Historical Romance, Suspense. Rated: 4.8 stars on 20 Reviews. 288 pages. ASIN: B008MA3TFI. *Murder by Misrule: A Francis Bacon Mystery (The Francis Bacon Mystery Series Book 1) by Anna Castle. Price: Free. Genre: Historical Mystery of the Day, Historical Fiction. Rated: 4.2 stars on 32 Reviews. 349 pages. ASIN: B00J9TABYS. **Lips That Touch Mine: A Heartwarming, Small Town Historical Romance (Grayson Brothers Book 3) by Wendy Lindstrom. Price: Free. Genre: Historical Romance, Historical Fiction, NY Times & USA Today Bestselling Author, Victorian,Collections & Anthologies, Westerns. Rated: 4.7 stars on 72 Reviews. 393 pages. ASIN: B004HO68OW. NY Times & USA Today Bestselling Author Wendy Lindstrom. *Murder by Misrule: A Francis Bacon Mystery (The Francis Bacon Mystery Series Book 1) by Anna Castle. Price: Free. Genre: Historical Mystery, Historical Fiction. Rated: 4.2 stars on 32 Reviews. 349 pages. ASIN: B00J9TABYS. The Winning of Barbara Worth by Harold Bell Wright. Price: Free. Genre: Historical Fiction, Action & Adventure, Historical, Westerns. Rated: 4.1 stars on 8 Reviews. 353 pages. ASIN: B01908T1BQ. **Lips That Touch Mine: A Heartwarming, Small Town Historical Romance (Grayson Brothers Book 3) by Wendy Lindstrom. Price: Free. Genre: Historical Romance of the Day, Historical Fiction, NY Times & USA Today Bestselling Author, Victorian,Collections & Anthologies, Westerns. Rated: 4.7 stars on 72 Reviews. 393 pages. ASIN: B004HO68OW. NY Times & USA Today Bestselling Author Wendy Lindstrom. ***Magic of Thieves (Legends of Dimmingwood Book 1) by C. Greenwood. Price: Free. Genre: Fantasy of the Day, Sponsor, USA Today Bestselling Author, Historical, Sword & Sorcery, Coming of Age. Rated: 4 stars on 1,001 Reviews. 191 pages. ASIN: B00AEJG2KY. USA Today Bestselling Author C. Greenwood. Reviewers love it: Refreshing! A perfect match for me – this was the right book for me at the right time! I enjoyed this book immensely! Well written and engaging! This book is sure to have readers of all ages ready for an adventure unlike any other! As a Fantasy fanatic, this book had everything I look for! Absolutely worth reading! *The Re-creation of Brian Kent by Harold Bell Wright. Price: Free. Genre: Historical Fiction, Action & Adventure, Westerns, Historical. Rated: 4.6 stars on 9 Reviews. 221 pages. ASIN: B01906R9X0. *The Thorne Family Saga by Angela Darling. Price: Free. Genre: Historical Fiction, Family Saga, Historical, Sagas. Rated: 5 stars on 5 Reviews. 637 pages. ASIN: B00AWDOIHG. The Trail Horde by Charles Alden Seltzer. Price: Free. Genre: Historical Fiction, Westerns, Action & Adventure, Historical. Rated: 4.1 stars on 9 Reviews. 256 pages. ASIN: B01911K92W. *The Monk: A Romance by Matthew Lewis. Price: Free. Genre: Horror Classic of the Day, Gothic Classic, Historical, Historical Fiction. Rated: 4.2 stars on 113 Reviews. 294 pages. ASIN: B01901N9Z2. The Two-Gun Man by Charles Alden Seltzer. Price: Free. Genre: Action & Adventure, Historical, Westerns, Historical Fiction. Rated: 4.3 stars on 6 Reviews. 171 pages. ASIN: B019122RE4. Alice Adams by Booth Tarkington. Price: Free. Genre: Classics, Historical Fiction, Action & Adventure. Rated: 4.3 stars on 27 Reviews. 246 pages. ASIN: B019BGHDKS. Seventeen by Booth Tarkington. Price: Free. Genre: Classics, Historical Fiction, Action & Adventure. Rated: 4.2 stars on 24 Reviews. 203 pages. ASIN: B019CRBPKU. *Tame the Wild Wind by Rosanne Bittner. Price: Free. Genre: Historical Romance of the Day, Action & Adventure, Historical, Western, Westerns. Rated: 4.8 stars on 4 Reviews. 369 pages. ASIN: B01AOIX9DC. Very good book. Very good author. I, James (The Eternity Series Book 2) by Mike Hartner. Price: Free. Genre: Historical Romance, Historical, Historical Fiction, Fantasy. Rated: 4.3 stars on 16 Reviews. 320 pages. ASIN: B00MQHIG0Q. The Call of the Thunder Dragon: The Continuing Adventures of Falstaff Wild by Michael J Wormald. Price: Free. Genre: Historical Thriller, War & Military, Historical, Action & Adventure. Rated: 5 stars on 4 Reviews. 455 pages. ASIN: B00W89USH6. *Ludwika: A Polish Woman’s Struggle To Survive In Nazi Germany by Christoph Fischer, David Lawlor. Price: Free. Genre: Historical Fiction, German, Biographical. Rated: 5 stars on 33 Reviews. 253 pages. ASIN: B018UTHX7A. *Jodie Mae by Robert Rogers. Price: Free. Genre: United States, Historical, Contemporary Fiction. Rated: 4.9 stars on 16 Reviews. 306 pages. ASIN: B00GW5J5L2. Lila: A Novel of Trials and Triumph by Mae Schick, Janis Kooiker, Dennis Hirning. Price: Free. Genre: Historical Fiction, Coming of Age, Historical. Rated: 4.3 stars on 7 Reviews. 361 pages. ASIN: B00OVJIQD4. **Passage West by Ruth Ryan Langan. Price: Free. Genre: Historical Romance of the Day, New York Times Bestselling Author, Historical. Rated: 4.4 stars on 50 Reviews. 341 pages. ASIN: B008BSYV1M. Europe Has Fallen by Andrew Gouriet. Price: Free. Genre: Fantasy, War & Military, Historical. Rated: 4.3 stars on 4 Reviews. 424 pages. ASIN: B009AHUDLU. *The Murder Flat by Karen Lewis. Price: Free. Genre: Historical Mystery, Sponsor, Literature & Fiction, Suspense Thriller. Rated: 5 stars on 1 Reviews. 34 pages. ASIN: B00IQRWGRY. Detective Grant Gilmore embarks on a desperate journey to unravel the mystery surrounding a string of deaths – from a woman murdered during the Second World War to her grandson, several decades later. Amazon Bestselling Author Karen Lewis. Historical. Free Kindle Historical Fiction Emails &Only Historical Fiction. *Four of a Kind: A women’s historical fiction (Deal, Not Free) by Vanessa Russell. Price: $0.99. Genre: Historical Fiction Deal, Sponsor, Set in 1910 1920 1943 1964. Rated: 4.9 stars on 8 Reviews. 496 pages. ASIN: B00MFYIUKG. Reviewers love it: I highly recommend this book! Excellent historical fiction! I really enjoy historical fiction and this is a story that details the history of the women’s movement and society’s perception of women, starting with the suffrage period, through the civil rights period, and it is told through four generations of women in a family! Beautifully written story covering 4 generations! Pygmalion by George Bernard Shaw. Price: Free. Genre: Historical Fiction, Ancient & Classical, Literature & Fiction, Classical & Early, Greek & Roman. Rated: 4 stars on 42 Reviews. 96 pages. ASIN: B0190WWV4Q. *Four of a Kind: A women’s historical fiction (Deal, Not Free) by Vanessa Russell. Price: $0.99. Genre: Women’s Fiction Deal, Sponsor, 4 Generations of Women, Set in 1910 1920 1943 1964. Rated: 4.9 stars on 8 Reviews. 496 pages. ASIN: B00MFYIUKG. Reviewers love it: I highly recommend this book! Excellent historical fiction! I really enjoy historical fiction and this is a story that details the history of the women’s movement and society’s perception of women, starting with the suffrage period, through the civil rights period, and it is told through four generations of women in a family! Beautifully written story covering 4 generations! *The Celtic Twilight by W. B. Yeats. Price: Free. Genre: Classics, Historical, Mythology & Folk Tales, British & Irish, Irish, Scottish, Fairy Tales. Rated: 4.2 stars on 63 Reviews. 114 pages. ASIN: B0191U4WJ4. *Forbidden Heritage: An Amish girl discovers a buried secret and must make a heart wrenching decision. (Amish Historical Series Book 2) (Deal, Not Free) by Misty Griffin. Price: $0.99. Genre: Christian Historical Fiction Deal of the Day, Sponsor, Amish & Mennonite, Religious, Historical. Rated: 5 stars on 1 Reviews. 175 pages. ASIN: B019JNY9GO. Reviewers love it: This was a wonderful book! I truly enjoyed the storyline! I also enjoyed the tidbits of information about changes that took place in that historical era! Outstanding! The story was awesome and had a wonderful ending! Not to be missed! *George & Georgiana: A Pride and Prejudice Legacy Novel by Julie Westmore. Price: Free. Genre: Regency Historical Romance, Cover of the Day, Regency Historical Fiction. Rated: 4.6 stars on 5 Reviews. 233 pages. ASIN: B0188C6XQ6. Really good cover. *Annabeth Neverending (Deal, Not Free) by Leyla Kader Dahm. Price: $0.99. Genre: YA Paranormal Romance Deal, Sponsor, Historical Fiction, Fantasy, Paranormal & Urban. Rated: 4.9 stars on 14 Reviews. 239 pages. ASIN: B019H83RDM. ISBN: 1518613284. Reviewers love it: Fascinating, engrossing and spellbinding! This is a fantastic YA read that had me hooked from the start! Reading it was so vivid that it was like watching a movie! It moved at a breathtaking pace! There was lots of humor and snark which kept me entertained! I loved both the present day and ancient Egypt! Fun and educational! I hope there will be a second book! 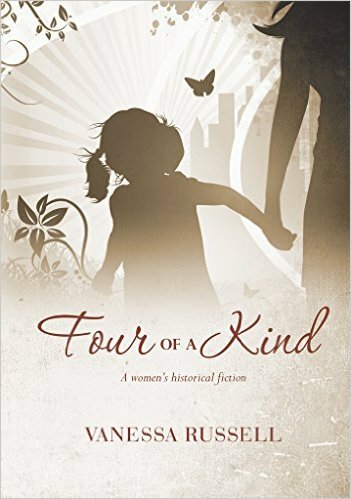 *Four of a Kind: A women’s historical fiction (Deal, Not Free) by Vanessa Russell. Price: $0.99. Genre: Historical Fiction Deal of the Day, Sponsor, Historical Women’s Fiction, Set in 1910 1920 1943 1964. Rated: 4.9 stars on 8 Reviews. 496 pages. ASIN: B00MFYIUKG. Reviewers love it: I highly recommend this book! Excellent historical fiction! I really enjoy historical fiction and this is a story that details the history of the women’s movement and society’s perception of women, starting with the suffrage period, through the civil rights period, and it is told through four generations of women in a family! Beautifully written story covering 4 generations! *The Murder Flat by Karen Lewis. Price: Free. Genre: Historical Mystery of the Day, Sponsor, Literature & Fiction, Suspense Thriller. Rated: 5 stars on 1 Reviews. 34 pages. ASIN: B00IQRWGRY. Detective Grant Gilmore embarks on a desperate journey to unravel the mystery surrounding a string of deaths – from a woman murdered during the Second World War to her grandson, several decades later. Amazon Bestselling Author Karen Lewis. Scottish Historical Romance $1 Box Set Deal – 3 Full Length Novels & 1 Novella! *Highland Force Boxed Set: Three Full-Length Novels and One Novella (Deal, Not Free) by Amy Jarecki. Price: $0.99. Genre: Adult Scottish Historical Romance Box Set Deal of the Day, Sponsor, Medieval, Scottish, Highlander Romance. Rated: 4.7 stars on 15 Reviews. ASIN: B00N64LVI2. Reviewers like it: Well worth the money! An amazing box set full of captivating Scottish adventures! Highly recommended! Amy Jarecki is a fabulous story teller and the entire series will leave you breathless and wanting more! These are good easy reads that pull you in and keeps you guessing what will happen next! I will definitely be reading more of her books! All the books were fantastic – I do recommend all of these books! Excellent $1 Historical Fiction + Women’s Fiction Deal! *SPOOK: CONFESSIONS OF A PSYCHIC SPY by Carlton Holder. Price: Free. Genre: Historical Mystery, Espionage Thriller, African American, Historical. Rated: 5 stars on 7 Reviews. 225 pages. ASIN: B00Q75A778. The Debt: Mountain Thunder: Cowboy Romance, Military Historical Romance by Lexy Timms, Book Cover by Design. Price: Free. Genre: Historical Romance, Westerns, Military, Western. Rated: 4.6 stars on 8 Reviews. 178 pages. ASIN: B015WO0UN0. ***Redemption (Legends of Graham Mansion Book 1) by Rosa Lee Jude, Mary Lin Brewer. Price: Free. Genre: Historical Mystery, Sponsor, Supernatural Mystery, Paranormal & Urban Fantasy, Ghosts, Mysteries. Rated: 4.6 stars on 98 Reviews. 223 pages. ASIN: B009ZM6Q7K. Reviewers love it: Wow! This was so good! This book is a joy to read! I was barely able to put it down after the first three chapters! This book was awesome! I absolutely loved this novel and I am anxiously awaiting the second one! I was pleasantly surprised by how the author spun a story using a local landmark! Well written and factual! This is such a fantastic book! I recommend this fiction to locals and readers of all ages!